It surely has been the year of the prefabricated house with the construction trend taking off in Australia. Although the prefab has been popular in Northern America and Europe for many years now (and has been around since the 1500s) the cheaper design is only starting to be noticed by Australian’s looking for more affordable housing options in the current economic climate. With more and more Aussies getting on board the prefab wagon its no wonder this has been a popular topic for our TUD readers. Here are our top five prefab/modular articles for 2014. One of the most interesting buildings of the year is the One9 apartments in Moonree Ponds developed by The Moloney Group. Designed by architecture firm, Amnon Weber and constructed by Vaughan Constructions using Hickory Group’s prefabricated building systems, One9 comprises 34, one and two bedroom contemporary apartments over nine levels. In this article we investigate the new trends in 2014 that are heating up in the building and construction world. 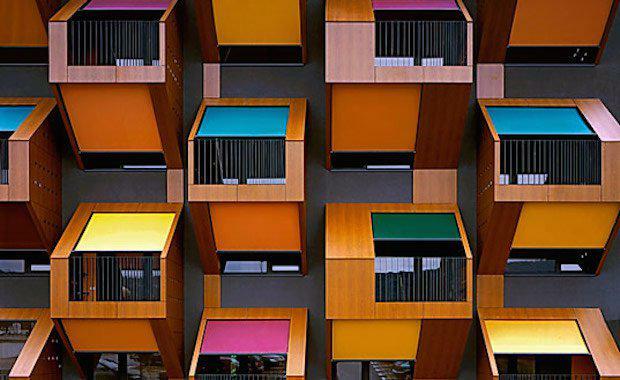 Prefab and modular housing are investigated as is energy efficient housing, single-design model and building materials. The $22 million Adara Apartments building was created in just ten days in a Perth-first. said the innovative venture, supported by the Department of Housing, cost less, could cut construction time in half and was 30 per cent more energy efficient. They were built with up to 12 per cent construction cost savings and 50 per cent less building waste. one of prefabAUS’s founding directors and Director of two prefabrication companies which operate Australia wide. Rob says Australian housing is evolving. Attitudes to construction methodologies and material selections are changing.